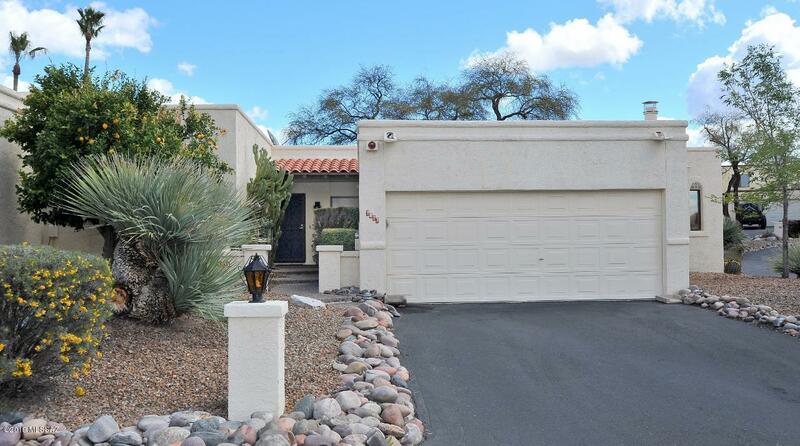 Former Sabino Sunrise Model, this townhome is situated on the largest lot in the community! 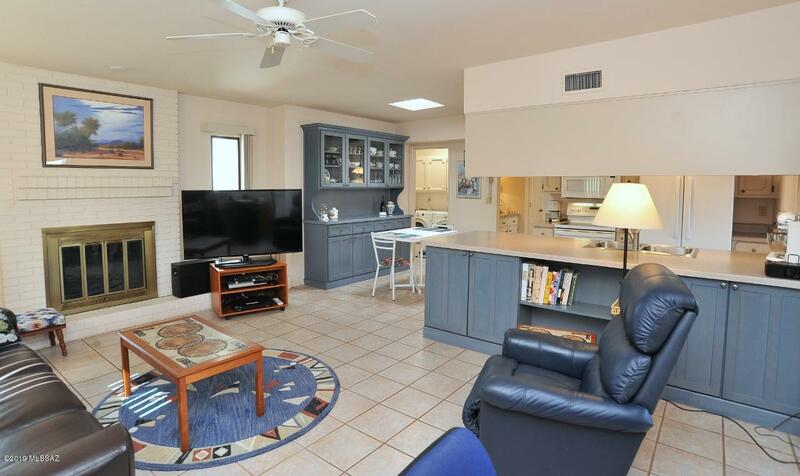 Meticulously cared for by one owner for over 21 years, this 2 bedroom/ 2 bath home is light, bright and airy, featuring an amazing Arizona Room (sq footage not included) w/Saltillo tile and dual ceiling fans to sit and enjoy the beautifully landscaped yard. 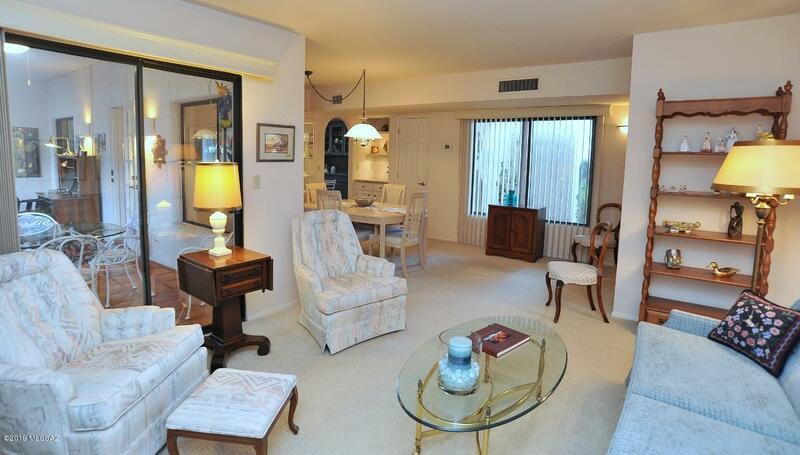 Formal living/dining and a great room off the kitchen with a cozy fireplace for those chilly days! Oversized kitchen island with extra storage beneath, a custom built-in buffet in the eat-in kitchen, tiled at entry way, great room, and baths. Only step is into laundry room and garage, which features a bonus storage room. Low care front and back yard with paver bricks, cacti, orange and lemon trees! 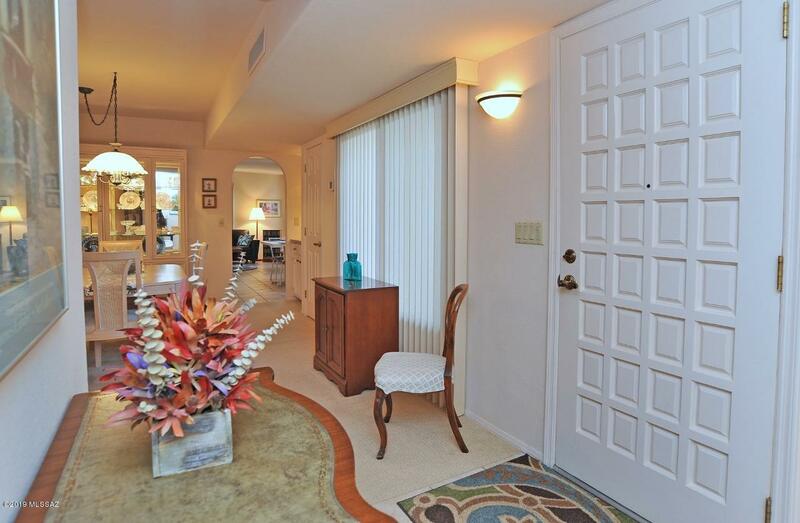 Located near hiking trails and restaurant row!